Grab the kids or set those DVR’s, the captain’s episode will air at 9am and noon today, then again at 10am on Sunday. 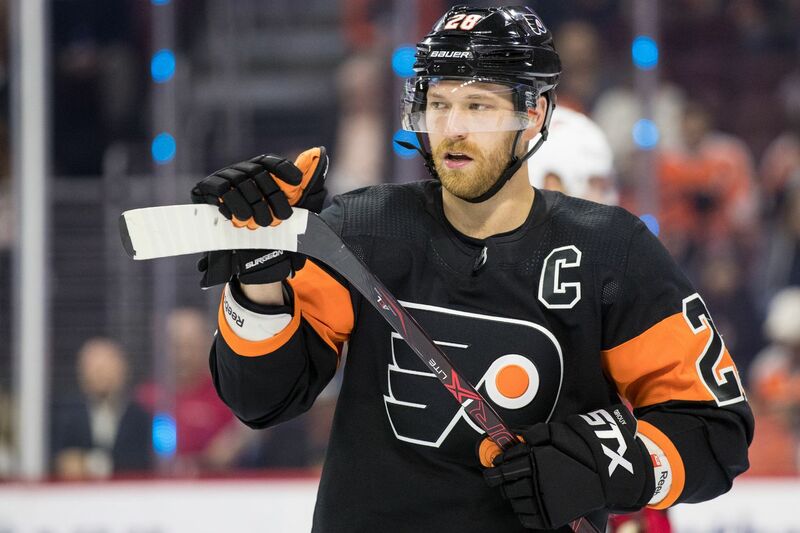 Flyers forward Claude Giroux will be featured on NHL Network’s Ice Time —as part of their “Captains” episode— airing Saturday at 9am and noon EST. The episode will also air on Sunday at 10am for those fans looking to get some pointers from the 18th captain in Flyers history. Giroux’s 622 points since 2010 are the second most among all NHL players during that span, and is adding to that total with 19 points (6G, 13A) in 16 games so far this season. He is currently fifth on the Flyers’ all-time scoring list with 696 points, just one point shy of Rick MacLeish for fourth place. He has been the Flyers’ captain since 2013. Ice Time is a new weekly show from the NHL Network that is aimed at kids and is hosted by former NHL player and current NHL Network analyst Mike Rupp. Yeah, the same Mike Rupp that somehow scored twice in the 2012 Winter Classic against the Flyers at Citizens Bank Park. All jokes aside (Ahem, Bobrovsky), Rupp is a tremendous host and certainly knows a thing or two in his own right after an 11-year career in the league. Ice Time features one-on-one hockey demoes and talks with some of the NHL’s very best, like the Flyers’ captain. In this 30-minute episode, viewers will see Giroux demonstrating how to keep your head up while maintaining control of the puck. You can check out the preview clip below as the captain talks about how his Dad, Raymond Giroux, taught him how to control the puck while keeping his head up ice as a youngster. Other segments during Ice Time will include animated features, a Q&A session from fans on social media, and highlights of the players’ style and personalties both on and off the ice. This is yet another cool way for fans to get a look at some of the NHL’s stars in a different light, as well as gain some valuable tips and advice from the pro’s. The fact that this episode features one of the Flyers’ own is even cooler.